By Jane Mount, Executive Vice President, Digital Research Inc.
What will the Marketing Research Industry look like next year? Here’s my top ten list. 1) In-Sourcing – When I was moving from the client side to the supplier side, a surprised supplier gasped and said to me, “But you’re just a purchaser! You’re not a researcher!” (Okay, I guess I still haven’t gotten over that insult.) Well the joke’s on that supplier! 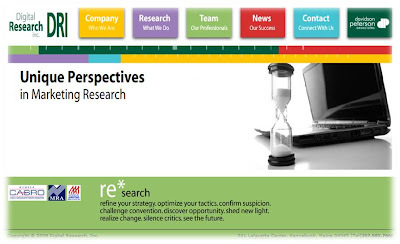 Clients are conducting their own research – and in many cases – managing quite well, thank you very much. Not only does this save their company money – it saves their job! 2) Global Studies – If you work with multinational organizations, or you are one, you know that the world is getting smaller. Brands are now global icons, and treated as such. Research firms with an international scope are needed to handle an increasing number of global studies. Instead of just doing work in Belgium, Belgium may now be just a test market. So, pull out your high school French textbook – you’ll need it. 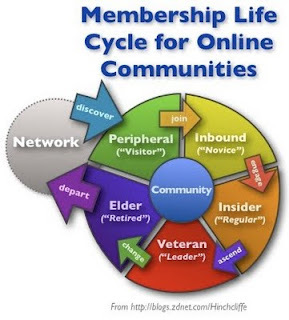 3) The Advance of MROCs – If you know me, you know I talk a lot about MROCs (Market Research Online Communities). If you don’t know me, now you know that I talk a lot about MROCs. Whether in-sourced or out-sourced, MROCs have a few key advantages in today’s business world – a fixed price tag and REALLY fast results. Plus, MROCs help engage both internal and external clients in a way that crosstabs never could. Be prepared to see more of them. 4) Declines in In-Person Qualitative – Because of an increase in the use of MROCs, some focus group moderators are going to have a tough time in 2010. For example, General Mills has an edict to move as much qualitative as possible to MROCs in 2010. I can’t imagine other companies aren’t doing the same thing. Why? Cost and time –both precious commodities. A hint to the moderators out there: turn on your computer. Some of these companies with MROCs still need help analyzing qualitative data. 5) No More CYA – Okay, admit it – you’ve managed or conducted research to make someone in management look good. It wasn’t strategically necessary for the business, but someone, somewhere, wanted their question answered. Well, like I say to my kids, “just because you want it, doesn’t mean you need it.” Company research budgets are saying the same thing. Those tight research dollars are going to be spent more strategically than ever. The VP of Shoelace Making will just have to do without. 6) Another Promise of the Best Panel Source Ever – Let’s face it. Online panels are cheap. They’re fast. They’re flexible. We love to use them. But sometimes they’re not so good – especially when Aunt Gertrude is earning her money for a Cancun cruise by joining as many panels as possible, as many times as possible. We’re getting better at reining her in. Sample quality is understandably a key issue – as more than half of studies now are done online. However, just because we can make sure that Gerty is who she says she is, we can’t guarantee that all panels are managed in the same way. There’s clearly more work to be done and it’s a key objective for the industry. 7) The Desire for Innovation – Clients want us – are begging us – to be more innovative, but our natural perfectionist tendencies and our academician split personalities won’t let us. We will be forced to innovate by our clients – but the question becomes if the supplier side leads the charge – or if we’re going to be pulled up Bunker Hill by our ear. 8) There’s Gold in That Mine! – Data mining, that is. Data mining, particularly through social networks, will be increasing in scope as a way to identify service issues, emerging trends, and who had the coolest look walking down the red carpet at the Golden Globes. This data mining will eliminate some more traditional survey research, such as satisfaction studies or A&Us. It’s not going to wipe out survey research, though, as an issue must be addressed before you can analyze it. 9) Triangulation vs. Perfection – RDD was once the gold standard for sample. Not anymore. With 20% of HHs without a land line, and far more with caller ID or other phone blockers, our data collection Nirvana is gone. I think our clients understand this better than we do – now it’s not so much about having the absolute perfect sample – rather, it’s more about having the absolute perfect insights. These insights will be gathered in more varied ways (see MROCs or data mining or innovation above) – but are triangulated to assure that the implications derived from each source are confirmatory and sound. 10) The Death of Survey Research – Ha! Got ya on that one! No, survey research isn’t dead, but it is heading toward a more highly selected use. Traditional survey research will be increasingly saved for strategic issues, a company’s most important brands or those decisions where high dollar outlays weigh in the balance. See my triangulation comment for everything else. So, clearly, the rules of engagement in Marketing Research are changing. If we want a seat at the table with our clients, we as researchers need to be strategic, flexible and technologically-savvy. So, here’s to a wild ride in 2010!